March 2017 - Patent my French! Usual readers of this blog will certainly get the impression that the author sometimes repeats himself. And they will be right. On a number of occasions, I expressed the view that French courts have gotten very strict on added matter (i.e. extension of subject-matter beyond the content of the application as filed) over the past few years. I mean “strict” as in “EPO strict“. And this trend seems to be further confirmed based on two recent decisions by the Paris Cour d’appel. First of all, in a previous post, I reported on a first instance judgment in Jean Chéreau v. Frappa, in which two European patents were revoked for added matter. One patent fell because of a number of intermediate generalizations. The other one fell because the term “roughly longitudinally movable” was replaced by “longitudinally movable” – which was interpreted as having a fundamentally different technical meaning. The patent proprietor appealed, but to no avail, as the initial judgment was confirmed on appeal, in a ruling dated February 28, 2017. Second of all, another patent was revoked by the Paris Cour d’appel on the same ground of nullity on January 24, 2017. Extension patents are OK but patent extensions are not. Here are the basic facts of the case. 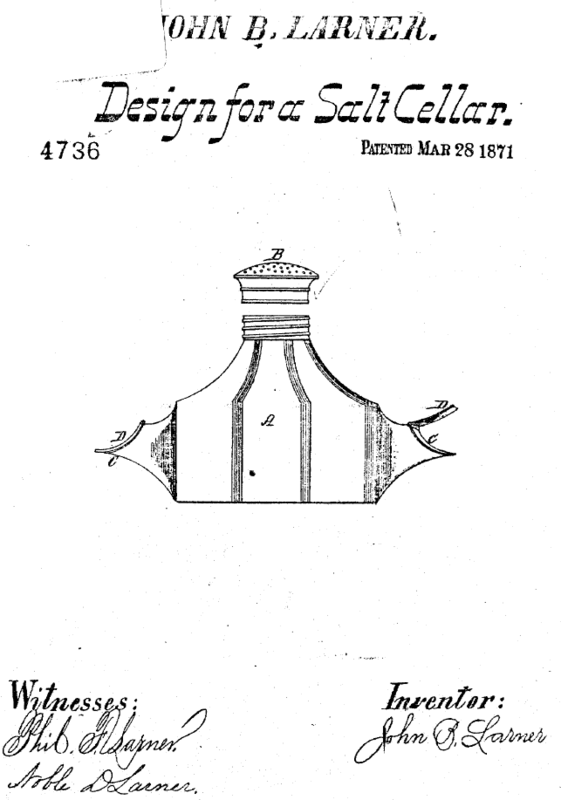 Mr. Damour owns a French patent No. FR 2943699 filed on March 31, 2009, directed to a fire resistant sandwiched panel for doors. An exclusive license was granted to the Compagnie de Fabrication Industrielle de Menuiserie (COFIM). On July 31, 2012, Mr. Damour and COFIM sued a French woodworking company called Breheret for infringement of the patent. However, in a judgment dated December 4, 2014, the Paris Tribunal de grande instance revoked all claims asserted against the defendant, for lack of inventive step. The plaintiffs appealed and filed a request for limitation of the patent in parallel, which was granted by the INPI (French patent and trademark office) on July 22, 2015. The Cour d’appel reviewed the limited claims, and came to the conclusion that they were invalid, but this time due to extension of subject-matter. – and in that said core has a thickness comprised between 6 and 30 mm. Ironically, among these various changes, the court focused on the recitation that the core extends up to the edge of the panel and concluded that this represented… an extension of subject-matter. 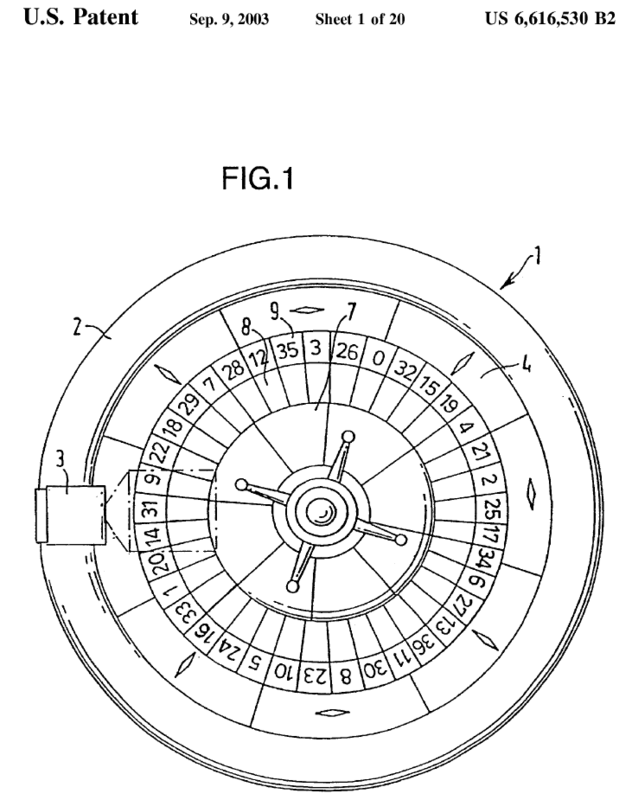 According to lines 20-24 on page 5 of the patent application as filed, which disclose an example of panel of the invention: “the mechanical features of the core 1 and the facings 2 make it possible to avoid the provision of bands. The core 1, which is made of a hard material, provides strength up to the periphery of the panel, which is sufficient to obtain a good hardness of the edges and a reliable stability of the fixation means (such as hinges, espagnoles, brackets or the like)”. These lines, the drafting of which is ambiguous, must be read in the light of the description of the invention presented from line 14 on page 2 to line 5 on page 3, from which it can be derived that it is the use of the core, the material of which is chosen for its high fire resistance, sandwiched between two wood fiber facings, and not the fact that it extends to the edge taken as such, which makes it possible, on the one hand to obtain a hard edge which is not friable over time, and on the other hand to provide the panel with mechanical resistance qualities which are sufficient to afford a good stability of the fixation elements. Claim 1 as limited thus adds a technical effect which extends the scope of the patent in that it indicates that it is the fact that the core extends to the edge which affords a better fixation of the ironwork. On page 4, lines 7-9 of the application as filed, it is specified that “the drawing shows that the core 1 extends up to the edge 3, therefore illustrating that the use of bands is unnecessary”. 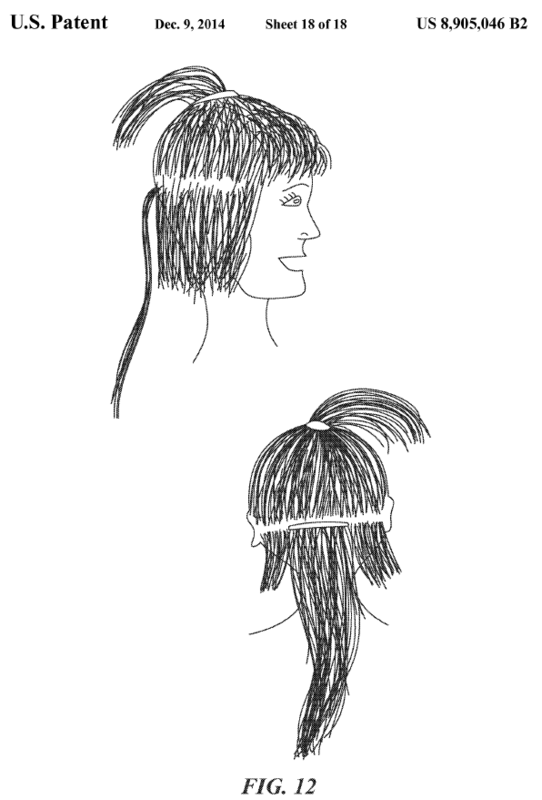 This relates to figure 1 showing an embodiment of the invention, and only makes a connection with the fact that the core extends to the edge and that bands are unnecessary. It results from the above that claim 1 as limited must be revoked as extending beyond the content of the patent application as filed. To put it otherwise, when looking closely at the application, it seems that the patent proprietor mixed language from two passages of the application. In the first passage it is mentioned that the core extends up to the edge and that the use of bands is unnecessary. In the second passage, it is mentioned that the mechanical features of the core and facings make it possible to avoid the use of bands; and that the core, made of a hard material, provides strength to the periphery and thus a reliable stability of the fixation means. What neither passage explicitly mentions is that the extension of the core up to the edge results in a reliable stability of the fixation means. This technical effect seems to be rather related to the nature of the core material. The gold standard applied at the EPO for appraising the allowability of an amendment is whether the amendment can be directly and unambiguously derived from the application as filed as a whole. Here, the court noted that the drafting was “ambiguous“. Therefore, the outcome seems to be in keeping with the doctrine of the Boards of appeal. It should also come as a warning for patent proprietors who limit their claims in an attempt to overcome first instance revocation grounds. This is a very common strategy, but also one which may sometimes lead them somewhere between Scylla and Charybdis. CASE REFERENCE: Cour d’appel de Paris, pôle 5 chambre 1, January 24, 2017, COFIM & Vincent Damour v. Breheret, RG No. 15/03652. When you are in private practice, you sometimes get to work with clients who come up with very creative legal arguments. Or you get to work with clients whose competitors are unfortunately very creative. Rating the chances of success of such creative arguments can be difficult, especially when there is not yet any case law to refer to. Let us take one example. A patent protects a molecule M1. A competitor markets a drug containing a molecule M2. When this drug is taken up in the body of the patient, molecule M2 is converted to M1. Is this a situation of contributory infringement? It is not so common for thought-provoking ideas such as this one to be actually tested in court. I was thus quite happy to hear about Shionogi & AstraZeneca v. Biogaran, thanks to Lionel Vial (the decision does not appear on the INPI database). So, if you would like to know the answer to the above question, you may directly go to the end of this post to find out about the guidance offered by the presiding judge of the Paris Tribunal de grande de instance, Marie-Christine Courboulay. But not so fast, as other aspects of the case are very worth being reviewed. The patent at stake is EP 0521471 owned by the Japanese pharmaceutical company Shionogi, and licensed to the Swedish group AstraZeneca. The patent covers a drug for the treatment of hypercholesterolemia, called rosuvastatin. The patent is already relatively old, as it was filed in 1992 and claims a priority of 1991. It went unopposed and expired in 2012. But a Supplementary Protection Certificate (SPC) was granted in 2005 by the French Institut national de la propriété industrielle (INPI), extending the duration of protection until June 29, 2017. And then on top of that, a pediatric extension was granted in 2015, further extending the duration of protection till December 29, 2017. The SPC was granted for the product simply identified as “rosuvastatin”, based on a Dutch Marketing Authorization (MA) for the drug Crestor, which contains a calcium salt of rosuvastatin. Biogaran developed a generic version of rosuvastatin. In 2014, Biogaran warned AstraZeneca and Shionogi that they had applied for an MA for the zinc salt of rosuvastatin, and stated that this product did not infringe the SPC. AstraZeneca and Shionogi did not agree with the latter statement. Two years later, Biogaran obtained its MA and announced that it intended to launch the generic drug in July 2016 – i.e. before the term of the extended SPC. As a result, AstraZeneca and Shionogi filed a motion for preliminary injunction (PI) in front of the judge in charge of urgency proceedings (juge des référés) on April 26, 2016. The judge issued her order on July 4, 2016. The criteria assessed by the juge des référés for deciding on the PI are whether infringement is likely, and whether there is any serious validity challenge. In the present case, Ms. Courboulay deemed that there is no serious validity challenge; but that, on the other hand, infringement is not likely. As a preliminary step in the reasoning, the claims of the patent were interpreted in view of the description. It is certainly a very good thing when a patent is construed as a first step, and thus in a consistent way for both validity and infringement. In the present case, this preliminary interpretation step led to a result which may come as a shock to a number of foreign patent attorneys but which seems to be in keeping with the tradition of French patent law. The compound (+)-7-[ 4-(4-fluorophenyl)-6-isopropyl-2-(N-methyl-N-methylsulfonylamino)pyrimidin-5-yl)-(3R,5S)dihydroxy-(E)-6-heptenoic acid or a non-toxic pharmaceutically acceptable salt thereof. This is the full name of rosuvastatin, either in the form of an acid or of a salt – any possible salt, it would seem. Dependent claims 2, 3 and 4 respectively and specifically relate to the acid form, to the calcium salt and to the sodium salt of rosuvastatin. [The patent] is drafted as disclosing a new pharmaceutical active substance, rosuvastatin, and the pharmaceutically acceptable salts of this substance, and the cited examples are only indicative and do not limit the protection to the only cited examples. However, the description and notably paragraph 007 provides examples of pharmaceutically acceptable non-toxic salts of rosuvastatin and makes reference to two families of metallic ions which were commonly used in the formulation of tablets of statins already known at the priority date, and in particular alcaline metal ions and alcaline earth metal ions. […] Thus, the pharmaceutically acceptable non-toxic salts are in these two families […], as the patent does not give any indication to the skilled person to select a salt in another family. On the contrary, the description focuses on these salts because they were already commonly used for the formulation of statin tablets; it does not provide any other lead, so that the skilled person will select a salt in the families offered by the patent as being the only relevant families for statins. He/she will not try to select salts of other families as the patent does not teach anything in this respect. Therefore, only salts belonging to the cited families, namely alcaline metals like sodium or alcaline earth metals like calcium, or those which can be part of the most commonly used cations for the formulation of statin tablets are concerned by the patent. The other salt families are not mentioned and thus excluded from the scope of protection of the patent. In summary, claim 1, taken at face value, covers any pharmaceutically acceptable salts of rosuvastatin. But according to the judge, the actual scope of the patent is narrower, as only two families of salts are covered: alcaline metal salts (such as sodium) and alcaline earth metal salts (such as calcium). So beware: the interpretation of the claims in view of the description can result not only in a broadening of the scope of protection relative to the literal wording of the claims, but also in a restriction of the scope. Although the Crestor MA designates the calcium salt of rosuvastatin, the scope of the […] SPC extends to all forms of rosuvastatin as covered by the EP’471 patent. A judgment to be taken with a grain of salt? Again, the limitation of the patent devised by the judge may come as a surprise from a European perspective. But I think it is in keeping with traditional French practice. French judges have consistently had a large degree of discretion in defining the scope of protection based on the overall teaching of the patent – or spirit of the invention. Maybe another way to look at this would be to consider that the invention was sufficiently disclosed in the patent only for the two salt families explicitly mentioned (and exemplified) in the patent, which, as far as I understand, were the two usual salt families for other similar drugs at the priority date. Using other salts would have required further research. Anyway, the consequence of this interpretation of the claim is that there was no direct infringement of the patent. Indeed, the Biogaran product is a zinc form of rosuvastatin, and zinc does not belong to the alcaline or alcaline earth metal families. Biogaran commits acts of contributory infringement because it provides essential means for implementing the invention [….]. The salt form under which rosuvastatin is administered decomposes as follows, as soon as it reaches the gastro-intestinal system of the patient. The salt is dissolved, which leads to the separation of the cation (for example the calcium or zinc ion) and of the anion (namely rosuvastatin in anionic form). Since the pH of the stomach is low (less than the pKa of the acid group of rosuvastatin), the rosuvastatin anion surrounded by H+ protons attracts them so as to make the free acid form of rosuvastatin. […] Therefore the invention is implemented in vivo, in the patient’s stomach, after the administration of the Biogaran rosuvastatin, which thus infringes the EP’471 patent by contributory infringement. [Contributory infringement] cannot be relied upon in the context of an artificial auxiliary argument […] whereas the Biogaran product is a generic of Crestor and thus clearly intended for the same therapeutic indication. Biogaran does not supply any means but a product equivalent to the one protected by the EP’471 patent and the SPC so that contributory infringement is neither established nor likely. The reasoning is very clear. Contributory infringement is a notion intended to target suppliers of only part of an invention. It is “artificial” and therefore wrong to try to extend this notion to the situation of a drug which undergoes a chemical transformation into a patented compound only in the patient’s body. It is remarkable, though, that the judge noted in passing that the Biogaran product is equivalent to the claimed invention. It seems that the plaintiffs did not argue infringement under the doctrine of equivalence. Would the outcome have been different if they had? Maybe we will find out with the case on the merits (assuming it proceeds to trial). CASE REFERENCE: Tribunal de grande instance de Paris, ordonnance de référé, July 4, 2016, Shionogi Seiyaku Kabushiki Kaisha & Astrazeneca UK Ltd v. Biogaran, RG No. 16/56067. Further to last week’s report on the latest statistics regarding the EPO Boards of appeal, today’s post is about another batch of numbers, this time from the French patent office. But before getting there, I would like to briefly follow up on last week’s post, with two additional comments. First, I wondered last week about the extraordinary situation in Board 3.3.02, which is now understaffed to the point of being practically unstaffed. A reader kindly brought to my attention that some cases originally distributed to this board seem to have been transferred to another board. For instance, case T488/16 was transferred to board 3.3.01 in October 2016. This makes sense in order to prevent some appeals from getting lost in limbo. But I still wonder what happened to board 3.3.02 in the first place. Second, the EPO released another report a few days ago regarding the 2016 statistics. Very informative indeed. Three figures in particular caught my attention. The first figure is the number of so-called “patent filings“, which reached more than 296,000 in 2016, up by 6.2% since 2015. This indicator is put in the spotlight by the EPO every year, even though it is a rather artificial one, as many others have noted. Indeed, these “patent filings” include both European direct filings and PCT filings (whatever the receiving office is). The latter represent a large portion of the 296,000 filings. Of course not all PCT filings give rise to actual proceedings before the EPO. So, the figure should not be interpreted as meaning that the EPO handled 6.2% more applications in 2016 than in 2015. This leads us to the second figure, which is the meaningful one, namely the number of so-called “total applications“, i.e. actual applications for a European patent. The number of total applications is the sum of the number of direct filings at the EPO and of PCT applications having entered European regional phase. Well, it turns out that this indicator is actually down by 0.6% relative to 2015, with a total of 159,353 applications. It would be interesting to compare this number with the number of national filings in the various EPC contracting states in 2016, to see whether fewer patents were requested overall in Europe, or whether some applicants may have decided to favor the national route, for one reason or the other (such as the upcoming advent of the UPC scaring them off). Last but not least, the third figure, namely the number of patent grants in 2016. This one is nothing short of astounding. There was a 40% increase in patent grants in 2016, up to 95,940. Obviously, this is good news for applicants. But everyone’s concern is that the quality bar may have been lowered to achieve this impressive figure. This would not be good news for third parties – and all applicants that I know of also happen to be third parties. Of course, it is hard to tell whether this concern has any merit or not. There is only so much that stats can tell us. For those who love charts and numbers, you can check out the 84 pages of drawings of this U.S. granted (!) 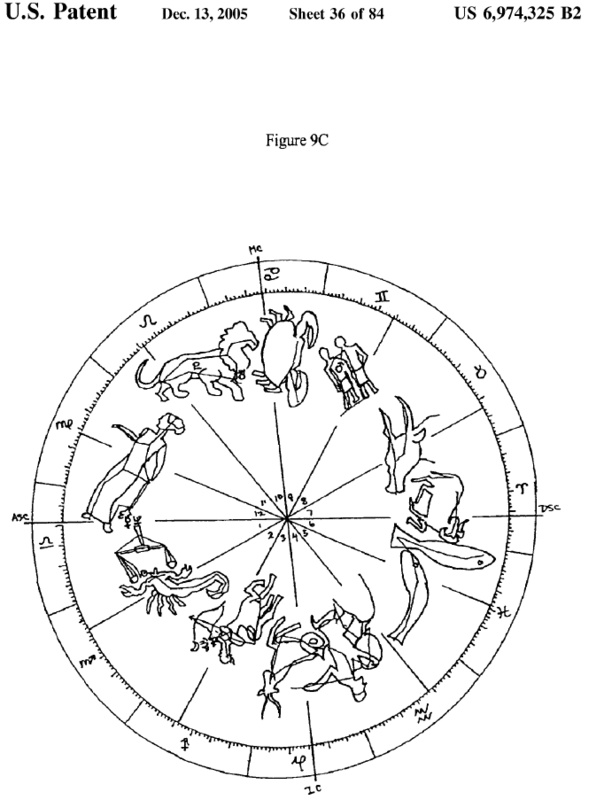 astrological patent. And now, back to Paris, with another report, issued this time by the Institut national de la propriété industrielle (INPI). The report, authored by Emmanuelle Fortune and Mickaël Chion, concerns applications published in 2015, i.e. which were mostly filed in 2013-2014. It focuses in particular on the respective filing strategies of SMEs (fewer than 250 employees and yearly turnover of less than 50 million euros or annual accounts of less than 43 million euros), large entities (more than 4,999 employees and yearly turnover of more than 1.5 billion euros or annual accounts of more than 2 billion euros), and intermediate ones (anything in-between). Here are a few subjective highlights from the report. First, the total number of French national applications filed at the INPI has been remarkably stable for a number of years. The total is 15,105 (again, these are the applications actually published in 2015, not those filed in 2015). 6.9% were filed by intermediate entities. The remainder (14.2%) were therefore filed by public research institutions. 10.8% of applicants were intermediate entities. If my math is correct, this means 7.8% of applicants were public research institutions. each intermediate entity filed 2.7 application on average. Again, the report does not address public research institutions. But some simple math makes it possible to conclude that there were 3.2 applications on average for those. I would have expected this number to be much higher. Yet, on the one hand, the report uses fractions when there are co-applicants, which I think is often the case when public research institutions are involved. To take one example, if the CNRS files an application together with three other partners, this will count as only 0.25 application for the CNRS. This can partly account for the low number of applications per public institution. And on the other hand, the above average figures probably hide very large discrepancies between individual entities. I assume that some well known actors such as the CNRS, or Peugeot Citroën Automobiles, Renault, L’Oréal and the like file a very large number of applications every year, which necessarily skews up numbers in their respective categories. 60.8% of applications filed by large entities gave rise to such an extension. Reconstructing the missing data regarding public research institutions leads me to a very large proportion of 86.7% of applications giving rise to an EP or PCT extension. I guess possible factors for the lower extension rate among SMEs is the cost of the extensions, and the more local nature of their markets. At the opposite end of the spectrum, public research entities absolutely need to think globally and invest in the long run in their patent applications before they can hopefully get a profit from them. Also they probably tend to only file applications on significant inventions and not on small, incremental ones, as private companies often do for strategic reasons. The last batch of figures for today, is probably the most interesting one. It relates to the estimated number of applications or patents in force in France, on December 31, 2015. The total number is 520,068. In understand it includes French patents, French applications, and granted European patents for which at least one renewal fee was paid in France. So, good luck folks for your freedom-to-operate analyses… The majority are European patents (72.5%), the rest being French national applications / patents. The breakdown between French applicants and foreign applicants / patentees is also very uneven: 69.4% of applications / patents in force are held by foreign persons or entities (although the vast majority of applications / patents filed via the national route are held by French persons or entities). Only 4.4% of all patents / applications in force are French patents / applications held by French SMEs. To this number, we should also add the proportion of European patents held by French SMEs. The figure is not provided in the report, but it is likely very low. This should somewhat put into perspective the often heard assertion that the patent system is good for SMEs. This is certainly true for part of them. But on the other hand, local SME patents are outnumbered by large entities’ filings and foreign filings – at least in this country. For those readers really interested in numbers, the INPI report contains further data on technological fields, the regional origin of French applicants etc. It is not too much PR-oriented, simply factual and therefore satisfactual (a tribute to a classic song). Case law decisions are seldom an easy read. So today’s post will be relaxing, as it deals with some recently published stats. Numbers instead of letters for a change, in the form of the annual report of the Boards of appeal of the EPO, published in the OJ. This yearly publication is a nice source of general information on the activity of the Boards of appeal in the past year. Here is my selection of subjective highlights from the report. I will focus only on the technical boards of appeal, which handle the vast majority of appeals at the EPO. First, the total number of new cases, has increased to a record total of 2748. That’s a 15% increase relative to 2015, but only a 6% increase relative to 2012, since there was a drop in new cases in 2013 and 2014. Second, the total number of settled cases is almost stable at 2229 (down by 3% relative to 2015). However, the number of settled cases after a decision on the merits (i.e. excluding cases in which the appeal was withdrawn, or the statement of grounds of appeal was not filed, etc.) was only 1243, down by 9% relative to 2015. What I think this all means is that backlog is likely to increase – unless the proportion of withdrawn appeals and the like were to increase for some reason. This seems to be confirmed by the comparison of the number of pending cases on December 31, 2016, relative to the number of pending cases on December 31, 2015: 8381 vs. 7862. That’s a 6.6% increase. This also seems to be confirmed by the evolution of the number of cases pending over two years on December 31, 2016, which is 3979 (up by 5% relative to December 31, 2015). The oldest appeals still pending were filed in 2008. The overall length of proceedings was 2 years and a half, or more precisely 37 months on average (40 months for ex parte appeals and 34 months for inter partes appeals), up by 1 month since 2015. Hopefully measures will be taken to curtail the increasing backlog. At the very least, the positions in the Boards which are still vacant should be filled soon. In fact, based on the Supplementary publication No. 1 in the 2017 OJ (Information from the Boards of Appeal Presidium, business distribution and texts relating to the proceedings), there are still a number of missing Board of appeal members as of the beginning of 2017. The most striking example is Board 3.3.02, with no chair and three positions of technical members out of four which are vacant. A helpful footnote indicates that “in view of the vacancy situation in Board 3.3.02, the provisions of Article 3, paragraph 3 will be followed for the composition of the board in particular cases“. Article 3(3) of the Business distribution scheme provides that “if the circumstances of the appeal make it necessary, the Chairman may designate a technically qualified member from another Board. In so doing he shall procure the consent of the Chairman of that Board“. But I am not sure how this can work since there is not even a chairman in this Board. I would certainly be curious to get some updated information from knowledgeable readers about the vacancy situation – and especially, about what the heck is the matter with Board 3.3.02. Anyway, back to the 2016 annual report, and let’s now look at the proportion of ex parte and inter partes cases. Here, the trend seems to be an increase in the proportion of inter partes cases. These cases represent 66% of all new cases in 2016, up by 5.3% since 2014. Inter partes cases are generally more complex than ex parte cases. So this trend will not help reduce the backlog. In terms of technical fields, appeal cases are traditionally distributed into four groups: mechanics cases (handled by Boards 3.2.01 to 3.2.08), chemistry cases (handled by Boards 3.3.01 to 3.3.10), physics cases (handled by Boards 3.4.01 to 3.4.03) and electricity cases (handled by Boards 3.5.01 to 3.5.05). Of course those are very rough categories. Since 2014, there has been a marked increase in both the number and proportion of mechanical cases (36.8% of all new cases in 2016), an increase in the number of chemical cases, which only translates into a moderate increase in relative proportion (32.8% of all new cases in 2016), a stability in the number of physical cases (9.4% of all new cases in 2016) and actually a reduction in the number of electrical cases (21% of all new cases in 2016). I assume that the major explanation for this large discrepancy is that the refusal rate is very low in mechanics and chemistry, and that it is higher in physics and electricity, especially because those are the categories in which most computer-implemented inventions are classified. As far as I can tell based on the work my partners Aujain and Patrick do, prosecuting software-related applications at the EPO is an entirely different game from prosecuting other applications. Now, a higher refusal rate probably translates into a higher examination appeal rate. The outcome of the appeals, further to a decision on the merits, differs depending on the nature of the cases (ex parte or inter partes). The majority of examination appeals are dismissed (54.7% in 2016), but the contrary is true for opposition appeals (only 39.3% in 2016). In opposition cases, the actual outcome of a successful or partly successful appeal can of course vary greatly. In 4% of cases, the opposition is rejected. In 20.5% of cases, the patent is revoked. In 23.8% of cases, the patent is maintained in amended form, and in 12.4% of cases there is a remittal to first instance. Has anyone ever had a feeling that getting your appeal in a proper success percentile was a matter of roulette game? All of this is fine and well, and we are grateful for this report. But there is also a lot that the report does not say. I will take three examples. First, the report does not address discrepancies from one board to the other in terms of duration of the proceedings. In the past I sometimes performed a quick and empirical analysis of the length of appeal proceedings in front of a particular board, based on a representative sample of recent decisions, when my client was interested in predicting how long it would take until a final decision for a particular case. It turns out that the variation from one board to the other is huge, probably from less than 2 years in front of some boards to more than 5 years in front of other boards. This is a major problem which I think would deserve to be better documented – and addressed. Second, the report does not address board-to-board discrepancies in terms of practice and outcome which, again, I suspect, can be significant. From time to time, some law firms publish studies focusing on certain aspects. For instance, JA Kemp recently published a review of software patent decisions in 2016. The review in particular shows a high refusal / revocation rate, which again is to be expected in this specific technical field. Also, a very informative article by Maarten Nollen can be found in epi Information 1/2015, which focuses on revocation decisions issued in 2014. The article again illustrates interesting differences depending on the technical field at stake. Third, the annual report does not contain any global evaluation of the outcome of opposition proceedings when taking into account first instance and appeal. Everyone has in mind a rule of thumb of the “three thirds” (i.e. one third of oppositions rejected, one third of patents revoked, and one third of patents maintained in amended form). However, interestingly, the rule may not be accurate when one looks at oppositions under appeal. In the abovementioned article, Maarten Nollen claims that the overall revocation rate for such cases is actually more than 50%. So, too bad that the annual report is somewhat limited and that no comprehensive statistical analysis of the activities of the Boards of appeal has been made available. On the other hand, this is not completely surprising. Statistics are almost by nature political. Therefore, is it not a natural tendency for all institutions to make a selection of numbers according to their agendas?